hahahahahaha I also have to block everyone who posts too much about religion. Somebody posted the other day thanking the lord for "huge financial gain". I had to delete them. Blocking wasn't enough. Hopefully I would make it through and be hanging out with you and Ari and lava. I loved the "... and people who are more successful than I am." 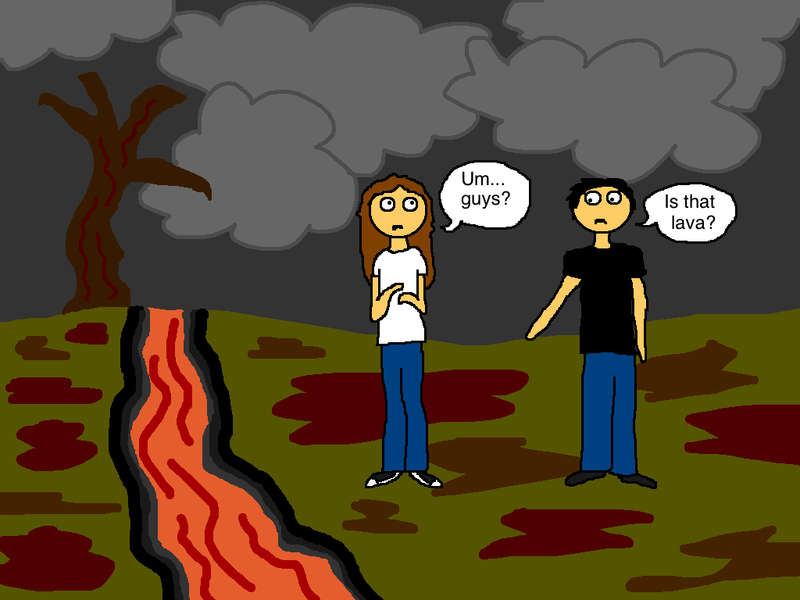 The best part of the image for this post is that before text was added I actually said "...Is that lava?" I don't know if you added it because of that, but either way its funny. I mostly block people whose statuses I find reminiscent of a 15 year old...regardless of age. The only person I have on facebook who is at that age (slightly below) is a good friend's younger brother...and his statuses aren't like that. Proof that sometimes age is no indicator of maturity.